Kim Moore, Ian Duhig and Sophie Hannah gave wonderful readings on the opening night of the festival. It really is a pleasure to hear poems you think you know quite well read aloud. 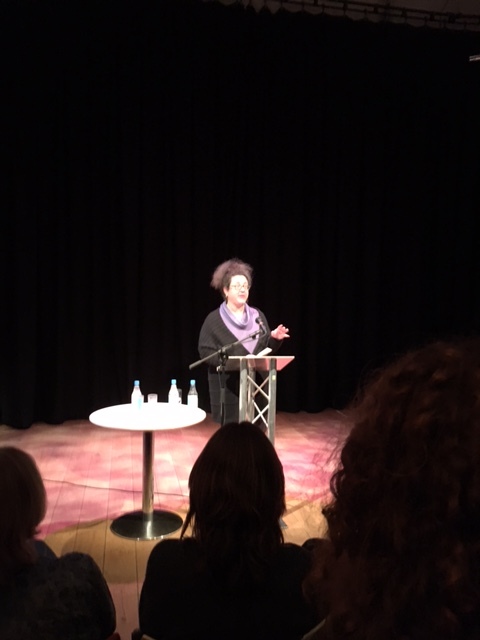 Even if you’ve read them many times in magazines, websites, in collections and at award evenings, something surprising and new often turns up when you hear poems in the poet’s own voice. 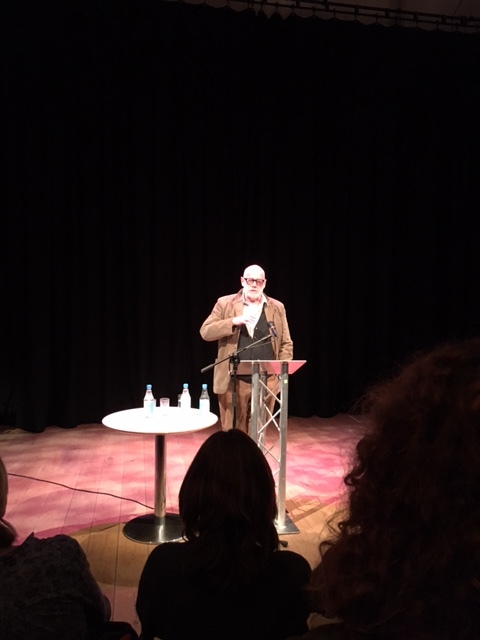 Ian Duhig read generously from across his many collections and recounted a hair-raising story of reading his poem Fundamentals to an audience which inadvertently included members of a far-right activist group. From his most recent collection The Blind Roadmaker, shortlisted for this year’s Forward Prize for Best Collection, Ian told us how his six sisters had influenced his poem Bridled Vows. 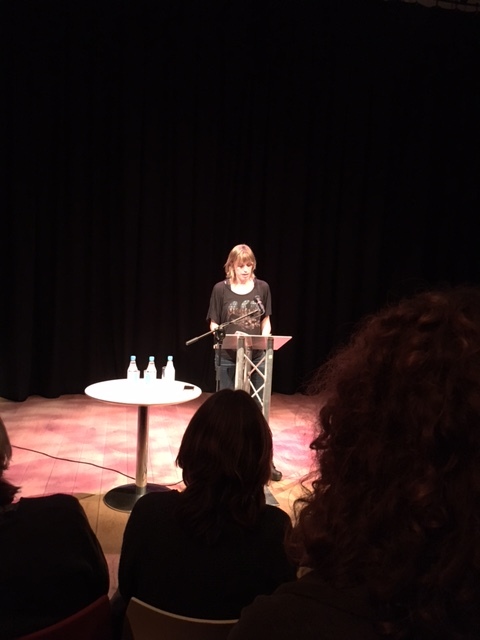 The reading closed with Sophie Hannah’s very funny poems about many topics, including the joy of hearing that something has been cancelled, imagining where people who storm off in a huff actually go to, and a poem “people in Wells-Next-Sea can understand” as it omits the word “to”. More festival blogs coming soon!